Check out these cuties! I don't know about you but I love a good apron, especially ones that are cute and functional. I'm planning on using one (or all) of these at Sewing Summit but they are made with craft vendors in mind by Tiffin Mills over at Linwood Avenue and I think they'd be perfect for any vendor/teacher/crafter/room mom volunteer. Plus you won't believe how affordable they are! You can find more in Tiffin's etsy shop. Remember the bird painting I made at the Paint Something Workshop with Jenni Horne back in August? Well I found Jenni after seeing Tiffin's lovely blog Linwood Avenue in Artful Blogging and then I was lucky enough to get to spend the day sitting right next to her painting and chatting! These girls are SO talented and lovely - and I don't know about you, but I love to support local artists when I can. The best part? These guys have dreamed up an art retreat that's happening right here in Atlanta at the lovely Serenbe in January - Southern Circle...a creative retreat. I feel like so often I read about all these fun things going on all over the country and think "why isn't any of that going on here?!". 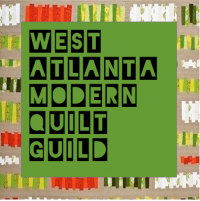 We have so many amazing artists, crafters, sew-ers and bloggers here in the Atlanta area, it's high time we started hanging out together and having fun! I think this will be an amazing weekend of creativity, friendship and fun and I'm not getting any kick-backs from them for saying this ;-) Just want more cool stuff like this happening in our city so I'm trying to be supportive. Go check out the fun things they have going on at their blog: Southern Circle Retreats and think about attending! If my PSW experience is an indication it will be relaxing, fun and productive. And you can leave those little (or big) darlings at home for a couple of nights - the prefect escape weekend, close enough to drive to. Go look! Those aprons are so cute! I found one in Tiffin's shop that I love. I wish I was closer to Atlanta... the retreat sounds awesome.